Type in your E-mail here to recive updates. I must admit I didn’t use just the LMG I ran out of ammo and picked up my mates ACR 6.8 with silencer, which got most the kills. At the time my heart was pounding and my hands so sweaty! It was a tense time. I have come close to second on Bakaara in Demolition, I was going 20-0 with a PP90M1 and Acr 6.8 both silenced. Then in the second round I made the mistake of rushing into their sporn and well, lets say it didn’t go well! Call of Duty Modern Warfare 3 New DLC! New Piazza map! Looks nice and sunny! Piazza, based on the coast of Italy. It reminds me of Estate (MW2) with a very vertical appearance and again the higher ground looks dominant but it also looks close quarters so its anybodies guess which weapons will be dominant but I’d put my money on the FAD or the ACR 6.8. Libration, based in Manhattan. Looks to be the new Wasteland (MW2). Longer sight-lines means, the snipers will love it but the ‘run and gun’, rushing type will loath it! Could we see some sniping MOAB’s from talented snipers? Liberation Castle a major camp site! The idea of this class is that with your first kill of flag capture you get Slight of Hand to reload with speed. Then with your third kill of flag capture you get Quick Draw to aim down sight quicker and, or throw grenades quicker (pro-versoin required). At your fifth kill or flag capture you get Assasin to be invisable to UAVs and stay alive. Then on you seventh kill or flag capture you get all the perks in the game! You become a super soldier! What is happening with FPSs at the moment? A few people have now told me that most FPSs are a waste of time. To a degree they are right. If you take Modern Warfare 3 as an example then they would apparently be right. People are getting a tad bored and annoyed, they are restless of the same FPS formula being rolled out year after year. They’re tired of the over the top ‘block buster’ campaigns. The tech is tired yet the numbers hold? Why is this? Is the FPS scene stuck on its last legs or is it just a simple case of familiarity? It’s a bit of both, the single player has really lost its way. Some people would say ‘who cares about single player anyway?’ well I do, I still play it and I still buy it – I want what I pay for! The strange thing is that it used to be the other way around, go back a couple of years to the PS2 era and the multiplayer was barely worth a shoot. Goldeneye is a good example of this, the campaign is awesome but the multiplayer lacking in places – great game though. Some of these newer titles seem to have an ‘anything goes approch’ which does bring new ideas to the scene. Plus they weren’t afraid to test players, it meant your were a beast if you completed that level, or got that challenge. I am told you only have to look at Bioshock and CoD 4 to see this. Recently Battlefield 3 set the modern game bench mark in the single player scene, with its great graphics and more realistic story. Although the problems are, along with most other FPSs is: a linear story and no chance to explore and the way you can’t take another route that is taken for granted in multiplayer. It’s just walk up to your objective marker, kill everything and remember to take cover to recharge your health. CoD has those constant spawning enemies! You may race through the campaign you won’t remember what happened. Part of the problem has got to be the characters, they are unbelievable, are you seriously supposed to feel sad when that animated guy who you saved his life for finally dies? Yes, but it’s never sad. You only ever shoot the bad guys because ‘they’re bad guys’. The bad guys nearly always run to one prescribed spot and pop their head up every couple of seconds. Are they trying to go back to the last decade? Is it too much to ask for to have proactive and reactive enemies. As much as the jet sequence in Battlefield looked good and the submarine level in MW3 looks good but they might aswell have put non-interactive cut scenes in. What’s up with the ‘quick time events’ at the moment? All in all, if you don’t care about the poor acting, storylines and the predictable AIs then it’s a great time to be an FPS fan. If not then just make sure you love the multiplayer! Call of Duty Elite is designed to bring gamers together. It helps you: connect, compete and improve. A lot of it is free, but you can buy extras and gain founder status; which has perks like getting the monthly DLC free. It really looks a helpful platform to work from – there are apps and other ways to connect directly from different technology. Connect with fellow CoD gamers to meet new people and friends. Join public groups with people who share interests with you or just for the sake of it. Create private clans for a personal multiplayer experience where you can level up as a clan and generally boast. Compete no matter what level you are. Elite offers a way to enter competitions, leagues and events for all sorts of prizes. Clans of up to 100 members can compete with each other and earn bragging rights. Improve, no matter what your skill there is always still time for improvement – admit it. Improve on Elite offers core strategies and custom stat analysis features. Improve your weapon arsenal with in-depth weapon guides and the ability to edit your classes to sync into the game!. This Improve really is the ultimate strategy guide! Weapon knowledge, map knowledge easy! 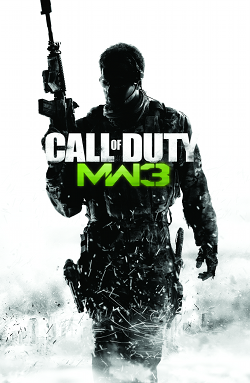 MW3 has been out for a bit now and I have really enjoyed playing it. From the small amount of time I played, I sort of got to grips with the weapons and a few perks. 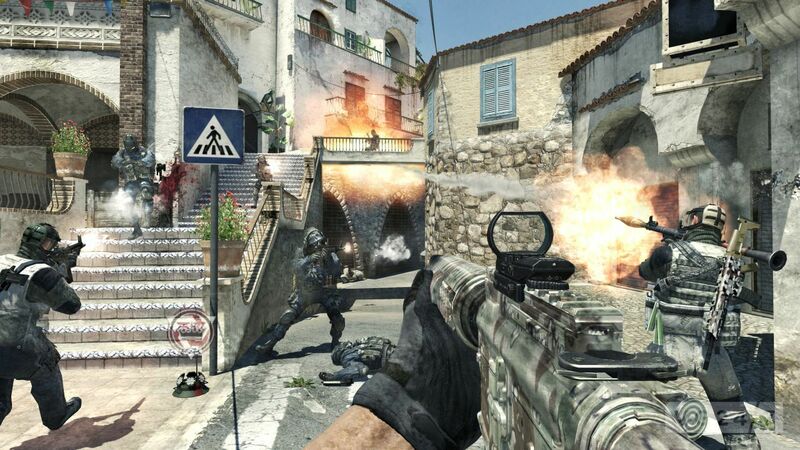 It is a cross between MW2 and Black ops, you have to take it slow yet still be aggressive. The way the guns level up is so pleasing, the maps are bight and colourful – unlike the depressing black ops maps. The proficiencies really pay of and the camo’s are really cool. The class to start of with, I would recommend is the UMP ‘rush class’ or the Noobtube ‘assault class’ ( the noobtubes are so much less powerful). I haven’t got to grips with the maps as so many people probably haven’t yet. My tip is to take it slow for the first couple of games on a map and look for the camping and high traffic spots – not to mention the cut throughs and short cuts. The new perks are so hard to remember for they have been renamed and revamped – in this blog I won’t go there. The decent guns are the Scar-l and M4A1 and fell good and handle well. Start of with the ‘Support Strike Pakage’ to maximise your point steaks and help make up for those noobie instances at the start of the game. It also helps your team mates. Another bonus is that if you die half way through your streak then your hard work doesn’t die with you, you keep building on this type of point streak. Once you have got to know the maps and are ‘at one with your gun’ move on to the ‘Assault Strike Package’ for the bigger better kill streaks! Hope this helped – remember to subscribe up for updates, there will be more in depth blogs about the game. Good look in your killings! The time is almost upon us where we stop playing MW2 or Black ops and put MW3 in our disc tray. Yes folks it is 1 whole day till Modern Warfare 3 comes out. I just can’t contain my self. I will have 2 prestige tokens – from prestiging in Black ops and MW2 plus 4 hours double XP which I got from pre-ordering of Game. I will keep you updated on: what I think of the game, which guns are the best, the best camping spots on maps and tones of other stuff. So follow this blog by clicking at the top right hand corner and entering your email address. Mw3 has been mistakenly sold early on eBay for $1725. Now, I know a lot to pay for a video game but you’ve got to admire the balls and money of this guy. He has the game early he can be 50 levels a head by the time we get it! One copy was placed on eBay and sold for nearly 29 times the retail price. It was bid for 88 times in total. For the first time ever there is double XP across the whole Call of Duty franchise, for the whole weekend, that’s Call of Duty 4, World at War, Modern Warfare 2 and Black Ops. My advise is use this to prestige and in doing so you will get prestige tokens in MW3 which you can buy stuff with, like an extra create-a-class or special emblems. So in Mw3 you could start of with 6 create-a-class and be ahead of the game. Beat you friends! 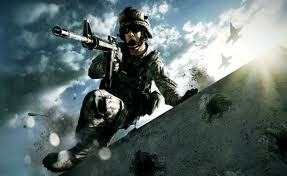 Battlefield or Call of Duty? A few people have now asked me whether they should get Battlefield 3 or Modern Warfare 3. 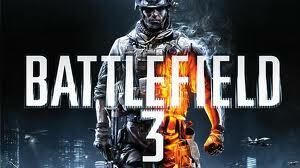 I haven’t played battlefield, but I will try to tell you what I expect from each game. Telling you its strengths in Campaign, Multiplayer and any other Game modes. Campaign – Having not played battlefield, I don’t now the storyline but I can tell you that both games are set at the same sort of time – not so far in the future during WW3. I expect that in Battlefield you will fly and generally drive vehicles as well as be a foot soldier. 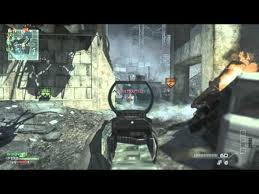 In MW3 you will be more of a foot soldier using you gun a lot but calling in airstrikes and AC130s once in a while. The past Call of Duty’s campaign have let us down, the MW2 campaign was over the top – with no storyline. Apparently though Activision have focused more on a cinematic experience for MW3 and will have a storyline, following on from MW2. Multiplayer – Both games are set at the same time, and so should have the same type guns. Battlefields multiplayer is dubbed as ‘fair’ whatever that means. It is very team best, working in squads will benefits all of you. Going on a lone shooting rampage will not, because you’ll get shot with no one to back you up. 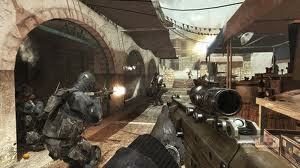 Call of duty however you can play either and you get kill streaks from it! Activision has tried to make a fairer game that benefit people who plant bombs, capture flags and generally be a hero! Battlefield has bigger maps, they are vast but won’t you get lost? 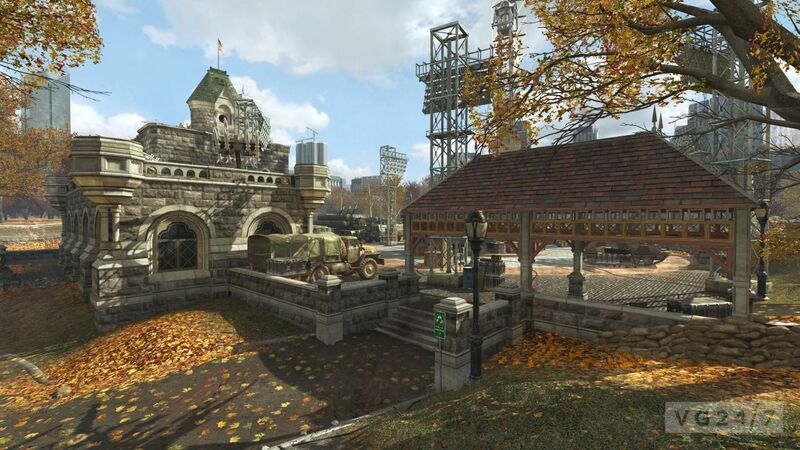 Call of Duty’s maps are tighter and quicker and generally you can remember them. 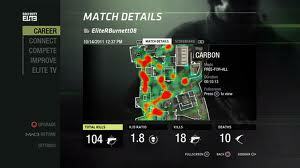 Mw3 also has a spec-ops and survival game modes both based on previous games. Survival is the zombies of MW3 and Spec-ops is from MW2. They should be fun but will they feel too familiar? Or get boring?